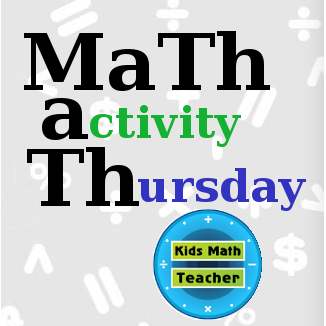 I have been so busy, but I'm still hosting MaTh activity Thursday and today we are going with the basics: Single digit Addition. I enjoy showing kids the concept behind single digit addition and then once they understand that they can do the worksheets. Playing with objects is so much more fun! For the activity you will need 2 groups of nine objects, 2 baskets/containers to hold each group, some 3x5 cards, and a marker. Prepare the 3x5 cards by writing 1-9 on two sets of cards. One card with a plus sign and one with an equal sign. Put the number card that represents that many objects. Move all the objects out and in one big pile together to the right of the equal sign card. The number cards stay in the containers. Then count all of those objects with the child(ren) and make a number card that says that number. Do it again to see other number combinations. 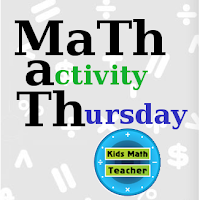 The child can also move one group from the basket over past the equal sign and practice counting up as you add the second group. What fun ways do you instruct single digit addition? Great! I was doing it with my 24 month old and she didn't get the concept either. Although, she enjoyed me counting while she was put the toys into the container. Thanks for stopping by!